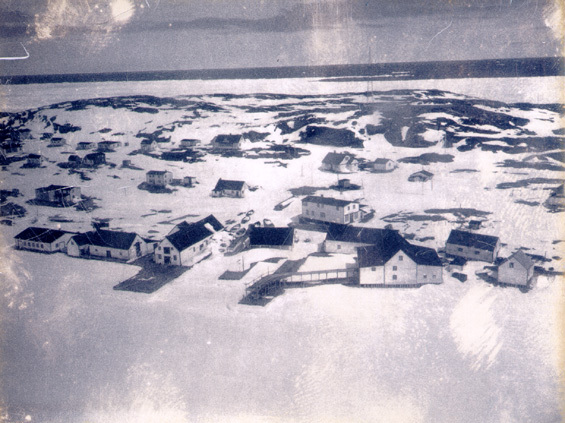 Description: View of buildings owned by Earle Freighting Services at Battle Harbour, Labrador. Notes: Title taken from caption on back of the photograph. Subjects: Battle Harbour (Labrador) / Earle Freighting Services.